ABNER SENIRES: Curse You, Nathan Long! 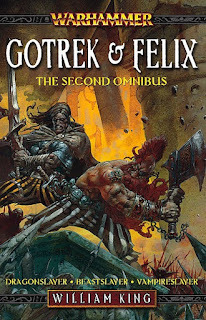 Dropped into Borders earlier today to pick up the second Gotrek and Felix omnibus when what to my wandering eye should appear? But lo! 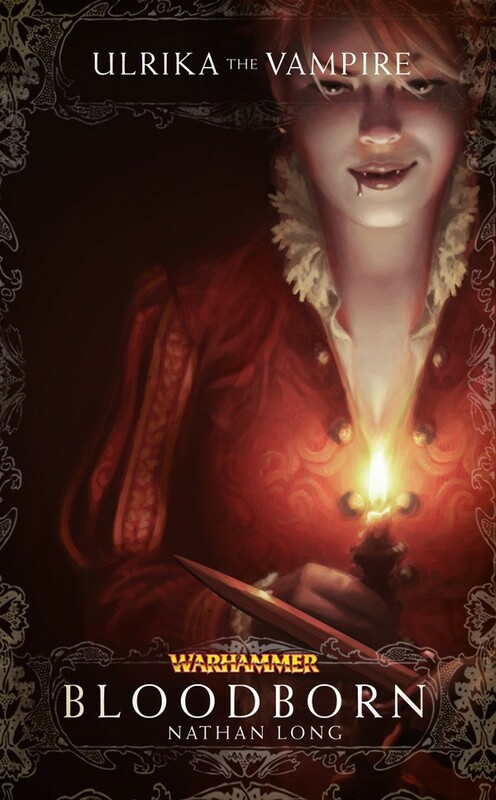 on the shelf--Ulrika the Vamp-eer. Specifically, Ulrika the Vampire: Blood Born. Because Ulrika's conversion has not yet happened in my reading timeline. I'm guessing it takes place somewhere in the middle of the omnibus. So, Nathan Long, I bestow a Bronx cheer upon you.